With the busy schedules and hectic lifestyles that people have today, it can be difficult to go for appointments to the dentist or doctor on a regular basis. Even though most people may not want to go for some appointments when they are not sick, it is important. This is because dental appointments will help you keep your gums and teeth healthy and may positively affect your overall body health. Here are reasons why you should regularly go for dental checkups. Seeing your dentist for routine dental checkups twice a year is important because it can help prevent future oral health problems. This is because any problems will be diagnosed early and necessary prevention techniques put into place. Your doctor will examine your gums, teeth, oral tissues and tongue. Consistent examination of your mouth and oral tissues provides several benefits that you will be thankful for in the future. Nobody will purchase an expensive vehicle or equipment and fail to take care of it. This is because it will break down or get spoilt over time. This also applies to your dental fillings and other dental apparatus that you may have. It costs a lot of money to get these oral fillings and seeing a dental practitioner regularly will ensure that they are well maintained and any issues addressed on time. 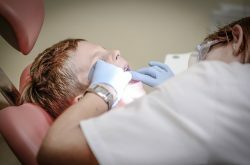 Regular dental visits are important for children. This is because they love eating sugary things such as ice cream, sweets and chocolates. These habits can result in increased oral acidic activities, making the kids more vulnerable to oral conditions that may affect them even in the future. Regular dental visits to the best office also help to correct orthodontic problems like displaced and curved teeth without need for complicated dental procedures. Build up of plaque and tartars are the major elements that trigger dental issues. This is because they can accumulate within a very short time. They can cause gum disease or irritate your gum tissues if they are not removed. Your dentist will remove plaque during your dental visits to prevent any future problems. He/she will also help to boost your appearance by removing stains on your teeth caused by dark beverages, some foods and smoking. Screening for oral cancer is an important part of the dental examination. Oral cancer is an ailment that completely destroys oral tissues such as bone, teeth, gums, ligaments and muscles in the oral cavity. This disease can be visually diagnosed through symptoms such as cell and tissue changes and through dental x-rays. Early diagnosis of this disease can help the patient undergo the necessary treatment early and this can help restore your oral health. Dental checkups are not just about keeping your teeth or maintaining that beautiful smile. Routine examinations can help you live a quality and healthy life because you will not have to worry about ailments affecting your oral cavity. 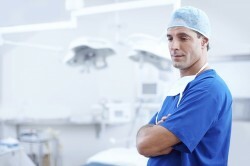 You might also be able to prevent any serious medical issues and save money in the long run. If you had missed any dental appointments, this is the time to get back on track.